A man was sentenced this week to two years in prison for conspiracy to commit bank fraud and money laundering for collecting nearly $100,000 in stolen credit card money while serving time at the La Plata County Jail. The money deposited into 30-year-old Anthony Lopez’s inmate account came from his co-conspirators – a group of four individuals, including Lopez, who called themselves the Valencia Fraud Squad – who stole credit cards and used them to send Lopez $98,902.76 between Oct. 12, 2015, and Nov. 20, 2015, according to a plea agreement with federal prosecutors. The scheme began at least four years ago when Lopez and his three co-conspirators – Joseph Maybrier, Jessica Tyree and Jessie Berry – stole credit card numbers and personal identifying information and used the credit cards to purchase goods or services. 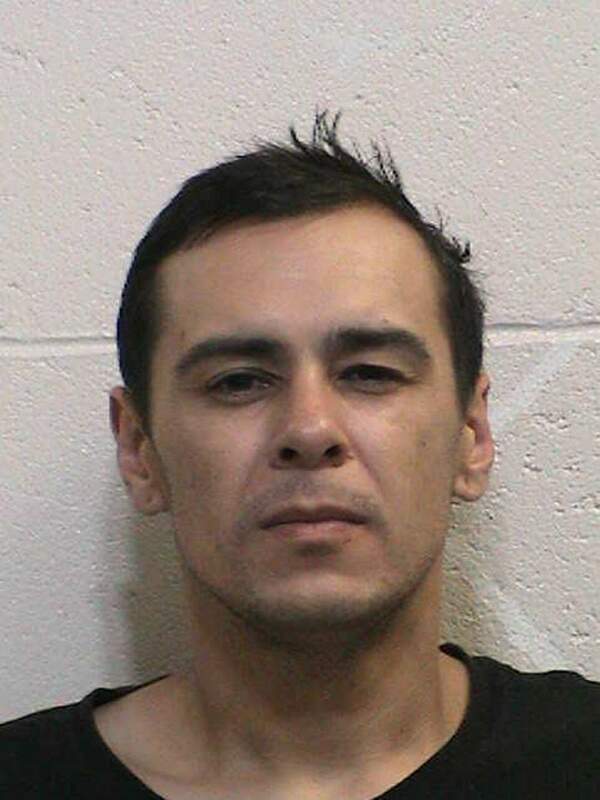 Then, on Oct. 11, 2015, the Durango Police Department arrested Lopez for identity theft and an out-of-state warrant and took him to the La Plata County Jail. While Lopez was incarcerated, the rest of the Fraud Squad remained at large. Inmates at the jail are given a financial account, which holds funds that can then be used to pay for commissary items, such as candy bars, extra bathroom supplies or phone calls. The jail also allows inmates to write checks from these accounts. Non-inmates are allowed to deposit money into the accounts, which can be done online using the website ezreleasekiosk.com. People outside the jail are able to access the site, identify the inmate to whom funds will be sent and enter credit card information. Banks involved in the transaction then send money to the jail, which would deposit the money into an individual inmate’s account. 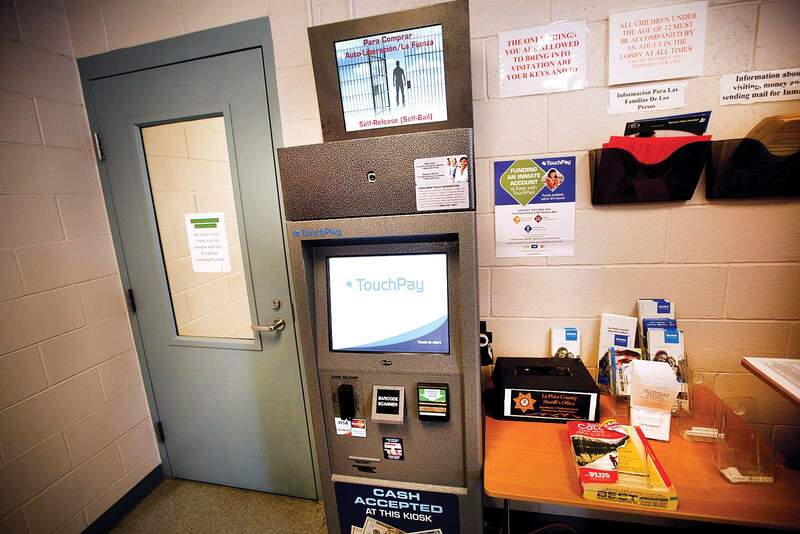 A kiosk at the La Plata County Jail where visitors can leave money for inmates or post bail for inmates. An inmate at the jail has been sentenced to two years prison for collecting nearly $100,000 in stolen credit cards charges on his jail commissary account. Co-defendants on the outside used the stolen credit cards to remotely enrich the inmate’s account. They called themselves the Valencia Fraud Squad. Between Oct. 12 and Nov. 20, 2015, Lopez conspired with the three other members of the Fraud Squad to enter fraudulent personal identifying information and stolen credit cards into ezreleasekiosk.com and deposit money from stolen credit cards into Lopez’s and other inmates’ accounts. The Fraud Squad had access to at least 36 stolen credit cards. The Fraud Squad attempted to transfer money into Lopez’s account 66 times – totaling $183,113.77 – in about 1½ months. The scheme worked more than half the time, ending with 35 approved transactions totaling $98,902 in stolen money sent to Lopez. The approved transactions ranged between $109.99 and $4,968 and progressively increased as time passed, attorneys wrote in his plea agreement. Lopez used the money for his own purposes, purchasing commissary items and making phone calls, attorney’s wrote. He also wrote checks from his account “with the intent that the money be used for the benefit of himself and the Fraud Squad,” according to the plea agreement. 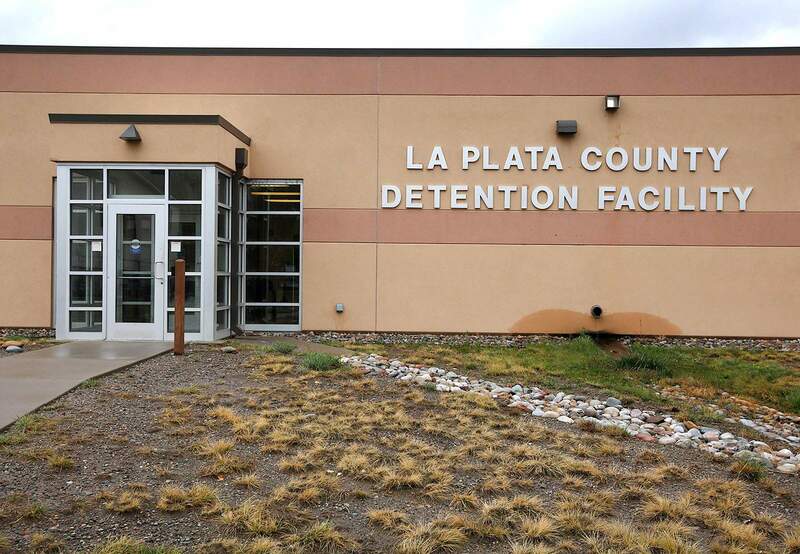 The La Plata County Jail in Bodo Industrial Park. Lopez told one of his co-conspirators in a recorded phone call that once the check he had written was cashed, the money was “clean and clear” and that no one could get arrested in connection with that money – essentially laundering money through the jail. The La Plata County Sheriff’s Office reported Lopez’s conduct to the Internal Revenue Service, which performed the investigation, said Chris Burke, a spokesman for the agency. The Sheriff’s Office declined to comment further about Lopez’s case, saying it was an IRS investigation. Lopez faced between 33 and 41 months in prison before signing the plea agreement.